When you notice the leaves starting to fall, you can be sure winter weather is just around the corner. Here are a few things to keep in mind to be prepared for the cold weather arrives. For any non-life-threatening emergencies it is a good idea to know about a local professionals that can help get your home and possessions restored. TRILINK Restoration Services is Oklahoma’s single-source solution for disaster restoration. From water emergencies like a burst pipe to reconstruction after a damaging kitchen fire, TRILINK’s focus is getting your home and possessions back to normal. Make sure walls, attics, or crawl-spaces are well insulated. Check the sealing or caulking on windows and doors, keeping the heat in, and the cold out. Strong winds and storms are not the only weather that can cause heavy tree branches to fall on your home. Ice can also take its toll on branches. Trim or remove any heavy branches that might fall and damage your home. Also clear your rain gutters to make sure there are no blockages to the water flow. 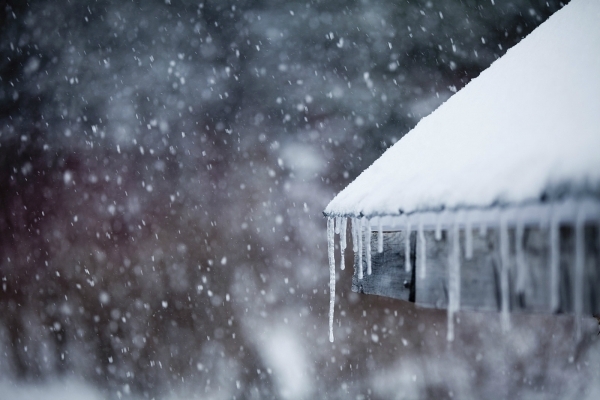 Ice can put a lot of weight and strain on your gutters that could potentially cause damage or cause the gutter to fall. Regular maintenance on water heaters, furnaces, A/C units, and more will help to insure they are at their highest performance during the coldest weather. It is also a good idea to have these checked throughout the year prior to any big seasonal weather changes. Also pay attention to any exposed pipes that might be susceptible to freezing temperatures.